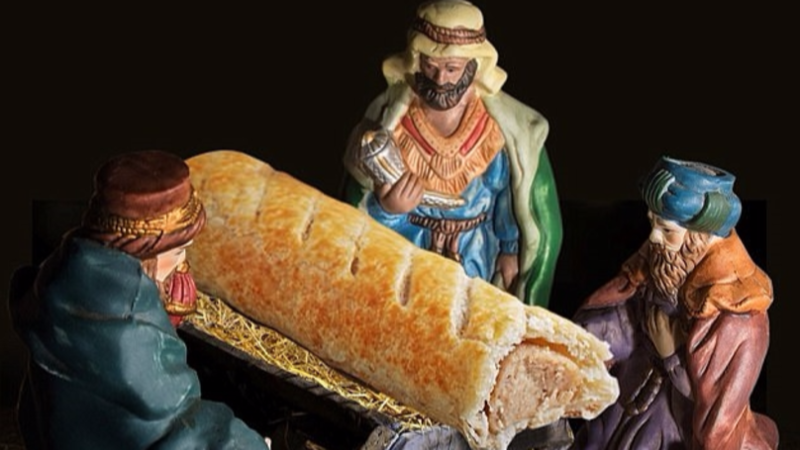 In case you missed it, Greggs got themselves into a spot of bother after they replaced baby Jesus in the nativity scene with a sausage roll. It was fantastic, to be fair. Whether an intentional, or completely naive move, it is one of the funniest things a bakery has done in 2017. And I was raised Catholic. 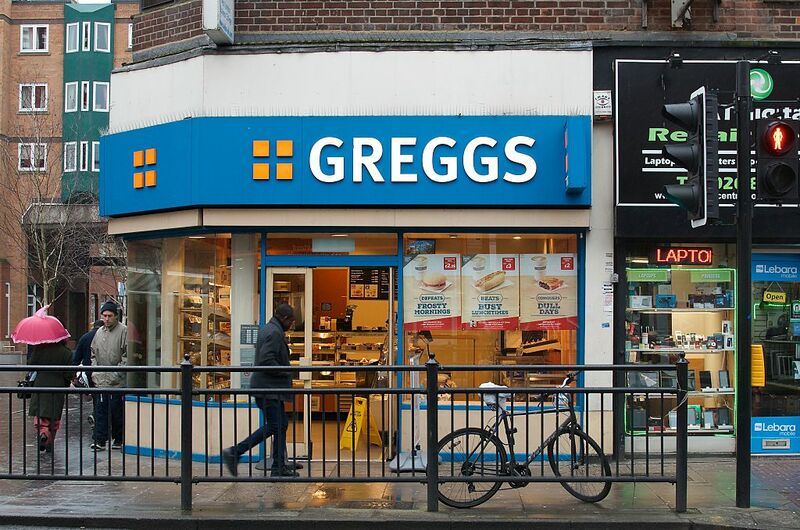 Greggs have now had to apologise, because some people are just miserable dolts. We’re really sorry to have caused any offence, this was never our intention. Perfect. Brief and totally half-arsed, just how it should’ve been. Greggs don’t care about blasphemy, mate. They just bake solid goods for the British people. Now enough of this religious stuff. Have you guys heard of the Greggs Christmas Advent Calendar? 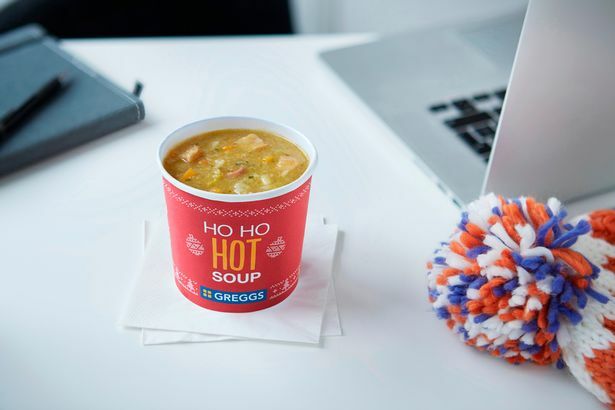 Described as the ‘ultimate Christmas gift for every Greggs fan’, the novelty calendar is filled with tokens for a host of baked goods. These vouchers can be then taken into a branch and exchanged for something off the varied menu. It’s like McDonald’s Monopoly, but nothing to do with board games, or burgers. A sausage roll, a festive bake, flavoured latte… whatever tickles your festive fancy, it’s up for grabs. Novelty advent calendars have been around for years, so we thought it was time to take the concept up a notch. 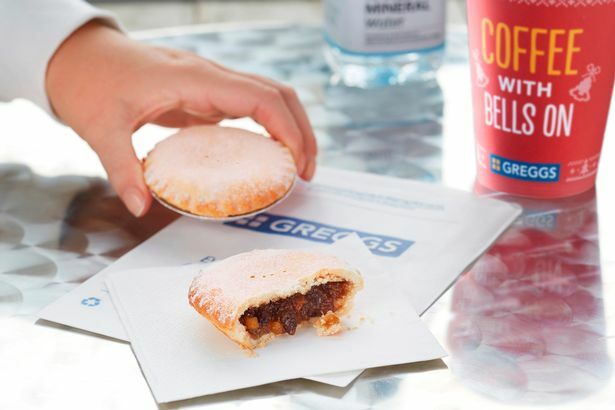 Fans won’t be disappointed by what’s behind the doors – there’s a delicious Greggs gift to enjoy every day of the December advent season, from sausage rolls to Christmas sandwiches and of course our infamous Festive Bake. 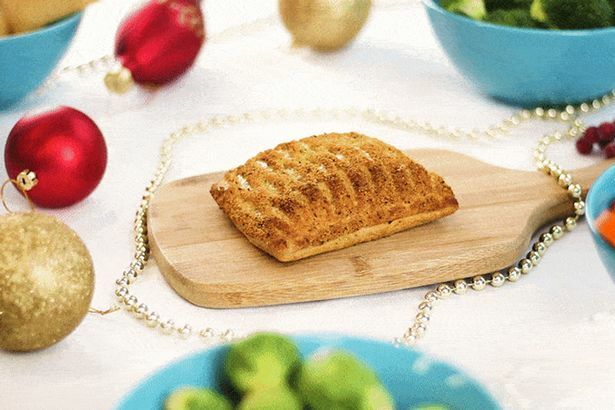 It’s the perfect Christmas gift for every Greggs fan. The calendars go on sale on Monday November 20 in a variety of Greggs across the UK. They may cost £24 but contain around £35-£60 worth of vouchers, so consider it a worthy investment. 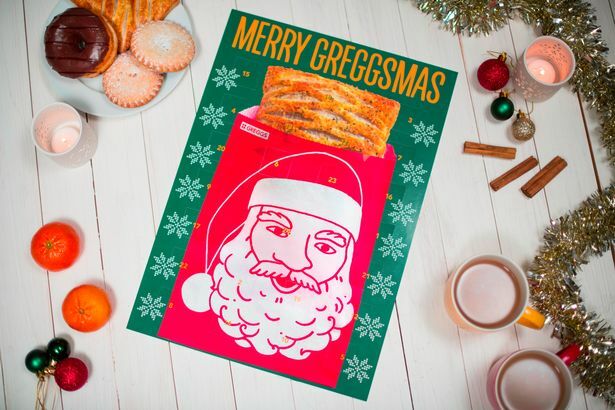 The cover image shows Santa Claus, a Festive Bake and the words ‘Merry Greggsmas’.